Deciding on a data management platform (DMP)? From audience scale to business strategy, you need to get to the core of a provider’s offerings before signing on the dotted line. 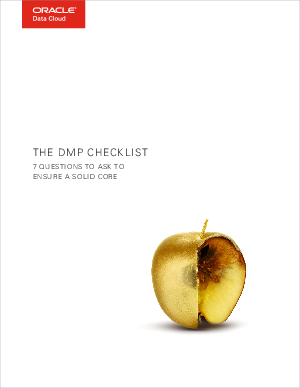 Oracle Data Cloud created this checklist of the top seven questions you should ask any DMP provider. Download our checklist today to get your hands on the most important questions!